This week we got a nice surprise from Boise Rescue Mission Ministries. 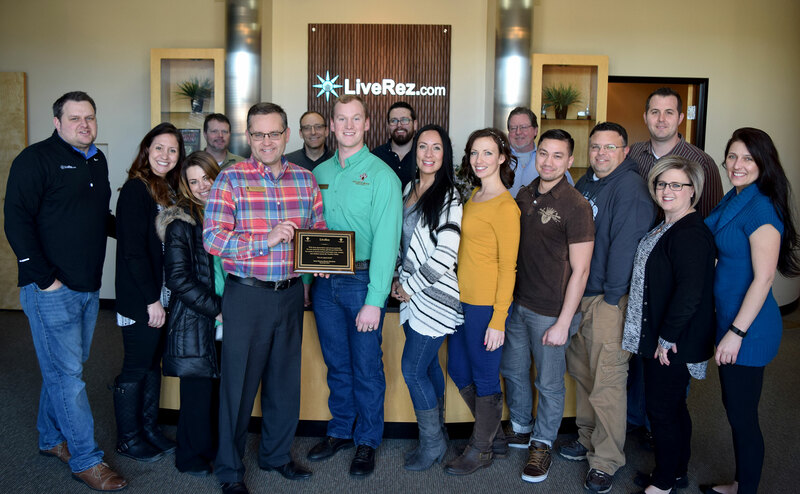 They stopped by LiveRez headquarters and presented us with a plaque for donating 2,000 Thanksgiving Meals as part of our Race to 1000 Challenge last year. To celebrate partnering with our 1,000th Property Manager Partner last year, we wanted to find a way to give back. So, we decided we would donate 1,000 Thanksgiving meals to the Boise Rescue Mission, which serves the homeless population of the Treasure Valley here in Idaho. Additionally, we put together a promotion in the lead up to signing our 1,000th partner to see if we could generate 1,000 acts of kindness before we hit the milestone. If we reached our goal, we said we would double our donation to the mission. Well, together, with our partners and other friends of LiveRez, we generated more than 3,000 acts kindness, more than tripling our goal! This week we were thrilled to learn that our donation of 2,000 meals attributed for about 50% of the meals the mission was able to serve on Thanksgiving. Thanks again to all our partners and friends who participated in the challenge. We were thrilled to be able to give back!